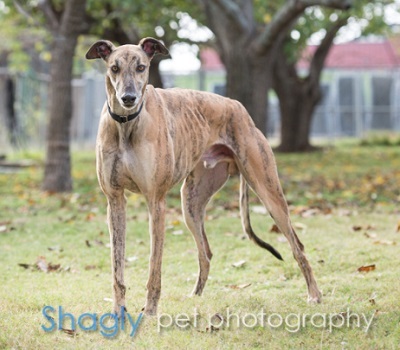 Trumo is a 2 year old brindle male born in 2015. He was part of the population from the blood bank facility located in Cherokee, TX that closed in November 2017. Trumo is being medically evaluated by GALT's veterinarians and hopefully will complete his medical procedures soon. It is not known at this time if he is small animal or cat tolerant. Please check back periodically for updates on Trumo's journey to a forever home. Trumo is a super sweet boy. He loves every human that he meets and shows his adoration by rubbing his head all over them, as if he's trying to give hugs. He is a very quick learner; I was able to potty-train him within 3 days. He responds well to the ""No"" command so is very easy to train. Trumo jumps in and out of the car with ease, and settles in for the trip. He is not shy at all, nor is he afraid of loud noises including storms and vacuums. Trumo LOVES to eat but is not aggressive about his food. He gets so excited at mealtime that he starts dancing around. He also loves toys, but does tend to hoard them and be protective of them with other dogs. 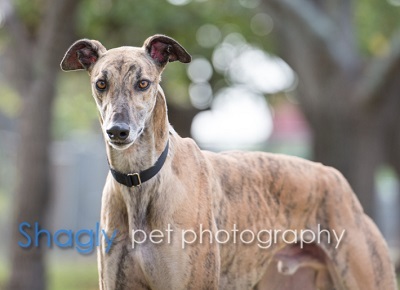 Trumo would do well with other adult dogs. Younger dogs are too playful and active for him. He loves to run and chase other dogs, but not fond of wrestling with them.